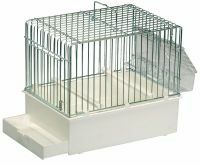 Transport cage for small birds. L 9.5 in. x W 6.5 in. x H 8 in.